90% of what was put into these projects was from destashing my current craft supplies. Inexpensive – For the same reasons, I’m not pouring a ton of money into the swag, plus destashing means getting rid of things, not buying more! 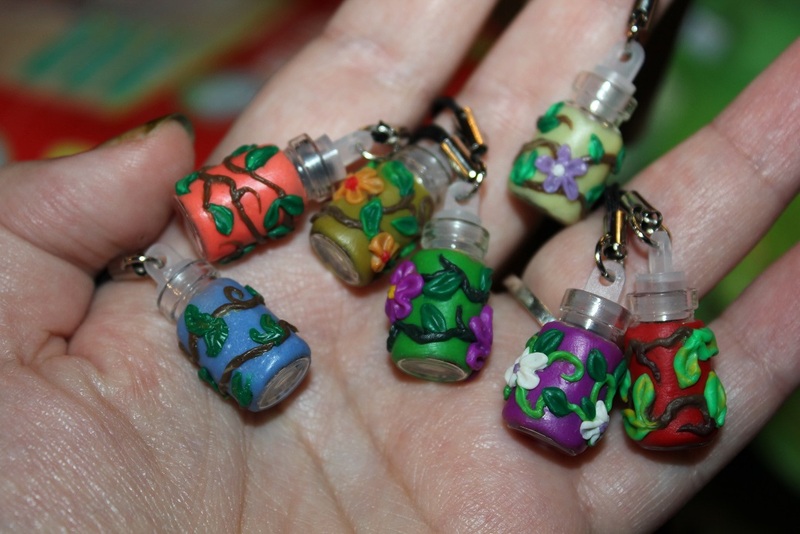 The first batch I put together were these little charms. Each cost maybe 10p to make, including the tags, but probably less. 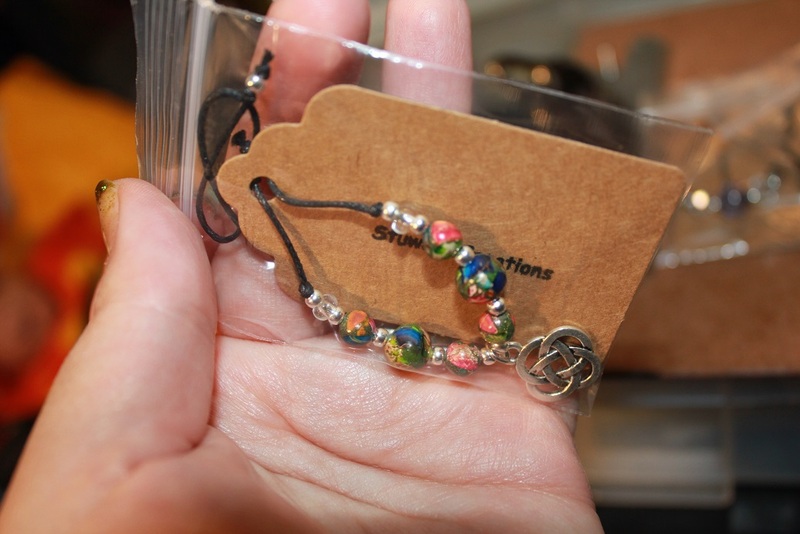 You can find the phone charm lanyards easily on eBay and the Tibetan silver charms are also very easy to find on eBay in thousands of different designs. I just used a pair of pliers to combine the two and then my daughter strung them through the tags as she was very keen to participate. The tags weren’t originally part of the plan, but in the end I think they look nice. the lanyards can be attached to phones, zips or keychains which make them nice versatile little souvenirs. I have had these mini bottles with plastic stoppers for years now (eBay). 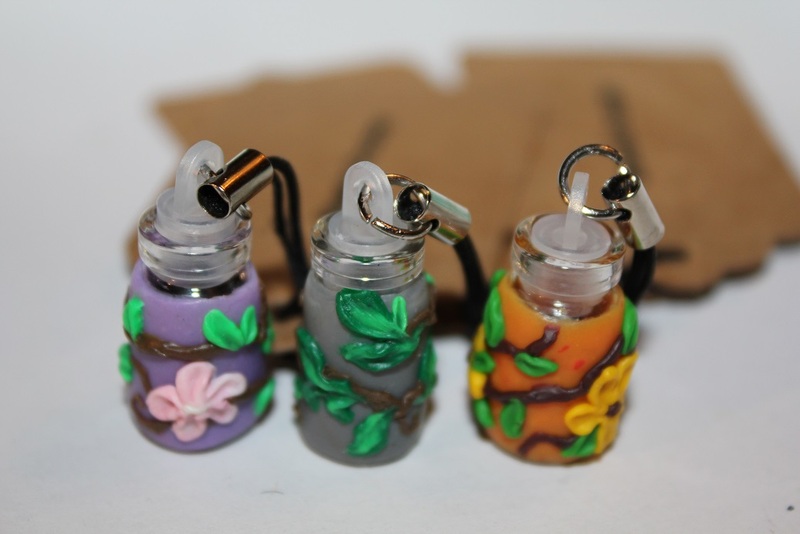 I got a great deal on but didn’t buy them with a project in mind so I combined the bottles with the lanyards that I already had, covered them in polymer clay and filled them with wildflower seeds which I also had to hand. Some of the seeds I actually harvested from my own garden! On the backs of the tags I wrote “Collect and spread some wildflowers wherever you wander” … I thought that they would be a nice way to promote wildflowers for the various insects who rely on them and the bottles can be reused over and over. Here you can see them in my hand for scale, they are very tiny, but each one is filled with hundreds of random indigenous seeds. Will the people who find them use them as intended? No clue, but I enjoyed making them and I hope that they make someone smile. Of course I had to work in a project that was made with some string and a hook. 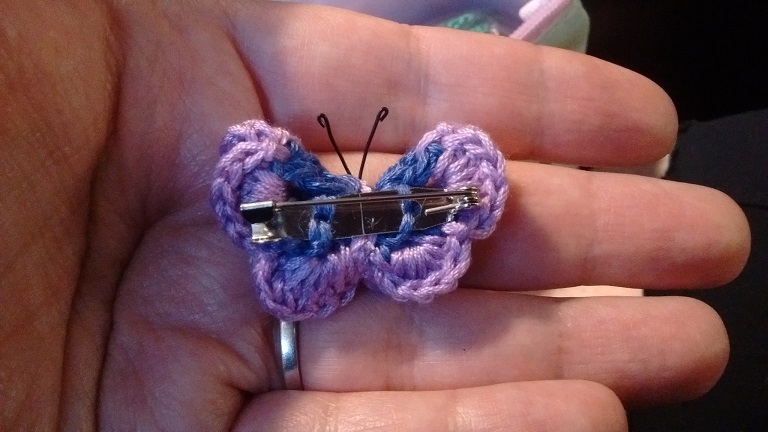 At first I was going to do flowers, but then I remembered this video that I’d used about a year ago to make some crochet butterflies. As it turns out they are a perfect size when made with a 2.0 hook and embroidery floss! As it also turns out, I had a massive box of embroidery floss in every color imaginable as well as some brooch findings! Then when I was rummaging around I also found some black wire which I thought looked nice for the antennae. The brooch findings are just sewn onto the backs using the tails of leftover strings. Each one cost pennies to make and maybe 20 minutes of my time. A nice, relaxing activity to do while watching TV on a Sunday evening. I put each brooch on one of the tags with a little message on the back and then popped them into jiffy bags for weatherproofing. This next one is much more practical than it is crafty. It came about when I bought some first aid supplies for our caching adventures, and even though they’re not as crafty they are still thoughtful and hand assembled!. I ended up buying MUCH more than I needed because the prices were only a tiny bit more for 50 of something instead of 10. So I figured another sort of destash was in order to help other geocachers in their travels. 1 latex free plaster – being allergic to latex myself, I understand the importance of hypoallergenic plasters! 1 saline wipe for non sting wound cleaning. 1 alcohol wipe which is particularly useful if you need to sterilise an area post tick removal. They aren’t big, but I Imagine they will be useful. I’d like to get some blister plasters to put in there too as that’s something I needed recently when one of my feet got wet. 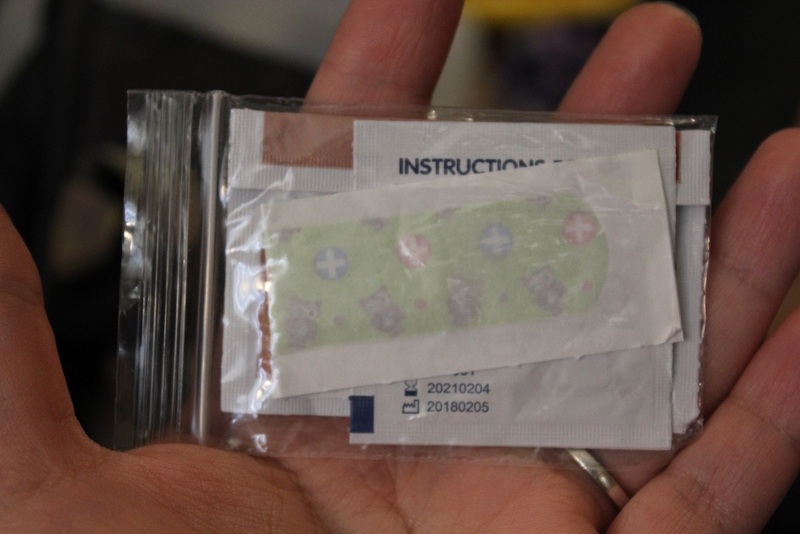 Each pack is waterproofed in a little zip bag. This one probably seems a lot bigger and more complicated than it is, so bear with me. I’ve always liked the look of this style of bracelet, but never made them before so I looked up a tutorial on youtube. Much to my surprise it’s genuinely simple, even for someone who isn’t the craftiest! 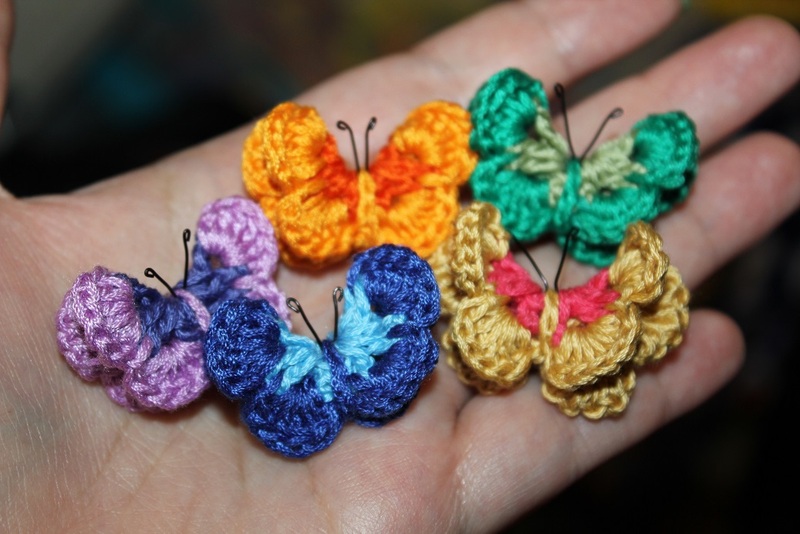 If you can tie a simple knot, you can make these. All you need is some waxed 1mm cord which is super cheap and easy to get from craft stores or eBay and some beads. 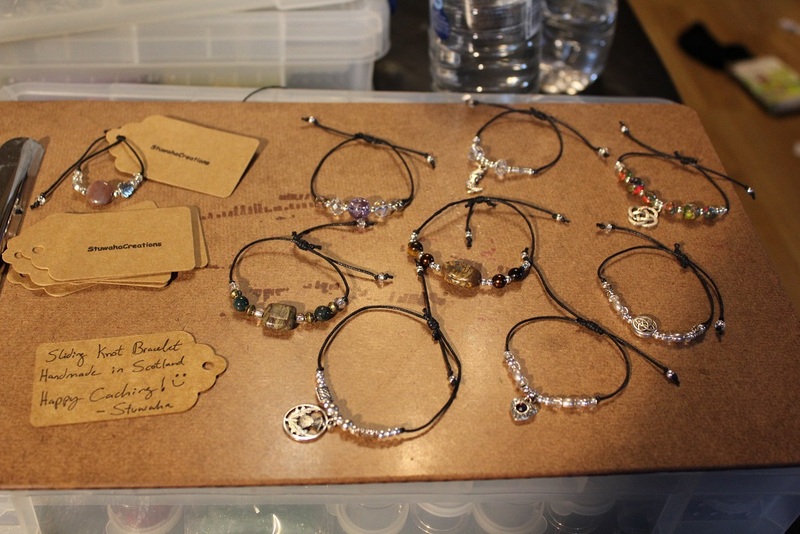 Each of these bracelets cost pennies and took maybe 10 minutes to make. Another nice wee project to do on an evening watching TV. I attached each of them to a tag with a little message on the back and weatherproofed them in a jiffy bag. Hopefully they will be enjoyed! A couple never made it into the batch as I loved them so much I had to keep them. they are pretty durable too as I haven’t taken them off for weeks and they still look great! Well that’s all I’ve got for this post, however I am already working on a second batch of ‘5 handmade crafts for caching’ as I’ve got plenty more destashing ideas, so until next time: Happy Caching :D (and crafting)!!! Great ideas! 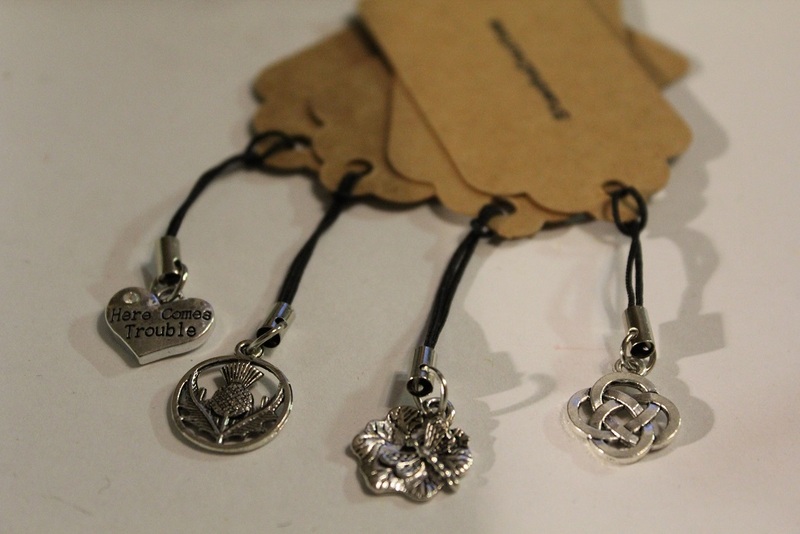 I especially like the butterfly pins and the seed bottles!